Family Medical & Dental Wellness Center (Elkridge) - Book Appointment Online! 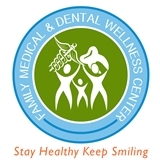 Family Medical & Dental Wellness Center offers the most comprehensive care for your family’s wellness! Wouldn’t it be great if everything you needed to stay healthy was in one Convenient location? We offer comprehensive medical and dental care in one State-of-the-art facility. It’s the easiest way to care for your family’s wellness. If you are looking for quality medical and dental care in Ellicott City, Columbia, and Elkridge area make sure to give us a call. Our customers are really important to us, and our friendly staff makes certain you are 100% satisfied. she's very gentle and kind. Only problem was she wasn't able to see the notes that I'd left regarding the appointment via ZocDoc. But she was thorough.